Wow, the second Sutherland sister has some major angst and heartbreak going, just the thing to make my best reads list! From spirited young woman to reckless widow, the beautiful Marchioness of Hadley remains a force to be reckoned with. But beneath her antics lies a broken heart . . . Since her husband’s tragic death, Lady Charlotte Hadley has embarked on a path of careless behavior and dangerous hijinks from which no one can divert her . . . until suddenly, her first—and only—true love reenters her world. 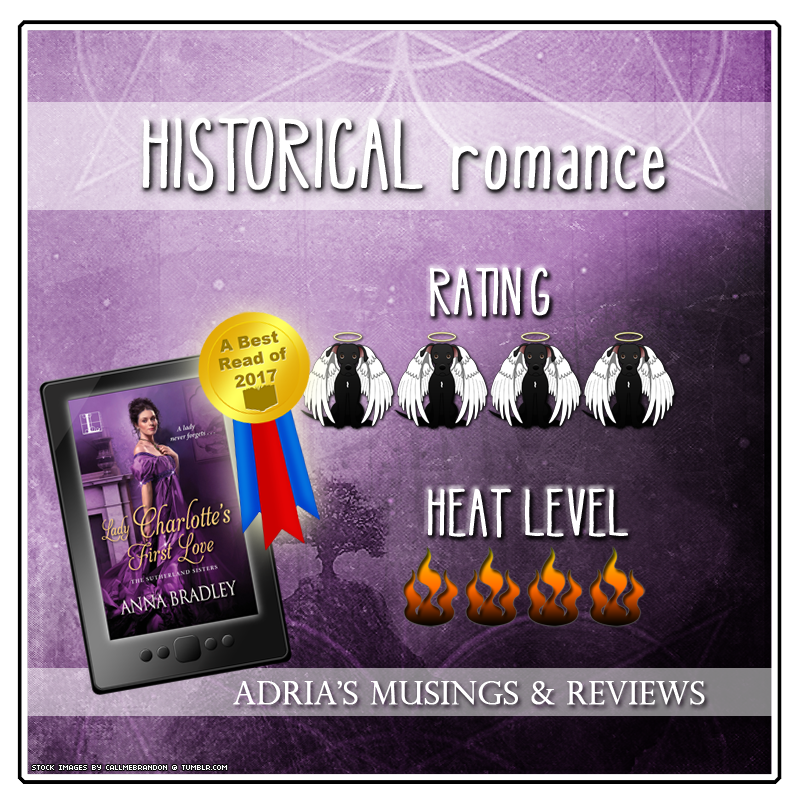 Their fiery romance was so scandalous Charlotte had no choice but to marry another, more suitable man. Surely now they are both free to pick up where they left off . . .
Julian West has returned to London a hero after making a name for himself in battle at Waterloo. Every woman is vying for his attention—except the one who stole his heart. No matter, Julian has other obligations. 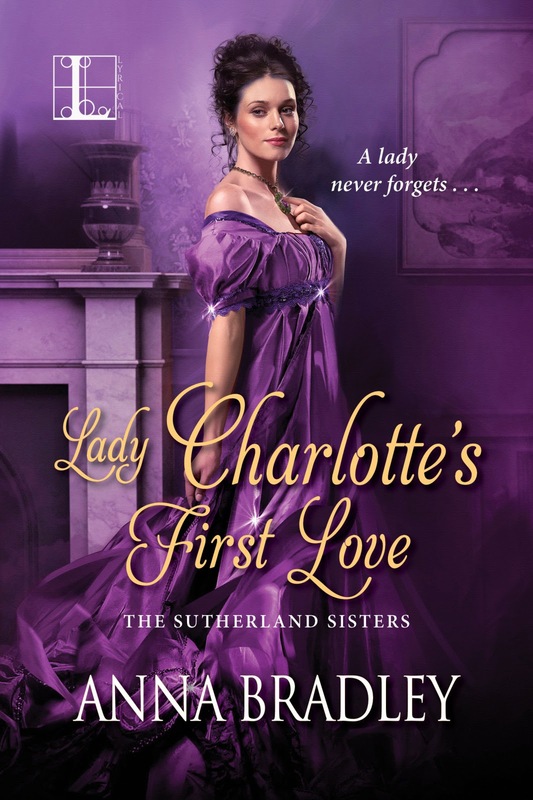 But when Charlotte’s sister, Eleanor, charges him with protecting the widow from ruin, what ensues is another kind of battle—one that leads a chase from London’s bars and brothels to the finest country estate as Julian and Charlotte untangle a host of secrets, regrets, and misunderstandings. For could it be that the love they’ve forced themselves to forget is exactly what they need to remember? . . .
What’s it About? A year ago Lady Charlotte thought she had found love with Julian West, then she found out he was part of a revenge plan and she was his target. Her heart broke and she married someone else. Julian on the other hand went off to war with a broken heart because he truly did love Charlotte only she wouldn’t see him after they spent a night together and then she married someone else. Now he’s back from the war wracked with guilt and not in the mood to help his cousin Cam, who is married to Charlotte’s sister Ellie. They want Julian to find Charlotte and convince her to join them in their country estate. Since Charlotte was widowed she’s been acting reckless and while Julian is sure he doesn’t care for the woman he thought he loved a year ago, he reluctantly agrees to bring her home. Well, he finds her and her wicked widows club in a brothel and when he sees Charlotte again he can’t help but feel again. Overall reaction to the story? 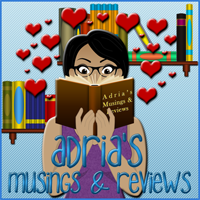 The angst and heartache almost did me in! Lady Charlotte’s First Love has so much emotion bursting from the pages and I couldn’t help but be drawn into Julian and Charlotte’s conflicted romance. These two had so much to work through because so much had happened in the year since they last saw each other. This book is definitely high on the angst and heartbreak but to me that made the romance so much sweeter, so much more earned if that makes sense. Their inner demons weren’t easy and the guilt they suffered for their individual mistakes was the biggest threat to them individually and as a whole but by the end I was so happy for Julian and Charlotte because they’re that kind of couple that you know loves with everything they have. Describe the hero in five words: Stubborn. Kind. Loyal. Loving. Damaged. Why? I liked Julian when I first met him in his cousin Cam’s book, Lady Eleanor’s Seventh Suitor. Julian lacked the ruthlessness of his cousin and had a kind of poetic, gentle lover kind of vibe about him. He fell so hard for Charlotte in that book and when she turned away from him he was broken. Now Julian’s experiences as a soldier have turned him more like his cousin used to be. He’s bitter, wracked with guilt, and determined to stay away from Charlotte. He was so different but I still liked him, he loved his cousin and was genuinely happy for him and Ellie but he was totally broken. I have a soft spot for broken characters like Julian. He was a good guy who saw horrible things and was haunted by them and he just forgot who he was for awhile, but that’s what made him such a good character. There was still some of that gentle, passionate, kind man in there somewhere that needed to come out so he could truly join the living again. Describe the heroine in five words: Caring. Destroyed. Stubborn. Lost. Smart. Why? Charlotte bore the brunt of her falling out with Julian and she bore it alone. That really had me feeling for her because it totally changed her. I missed that spirited, mischievous young girl she used to be but it was clear early on that she wasn’t that person anymore. No matter that she married someone else, Charlotte truly believed that Julian didn’t love her like she loved him and how could she believe him? He had played a part in his cousin’s stupid revenge plan and while Julian soon backed off of the plan and really did fall in love with Charlotte, the damage was already done. I felt for her, she was alone in her grief and unrequited love because she never stopped loving Julian. That’s a torture in itself. I wanted Charlotte to overcome her grief because it wasn’t just the loss of Julian that was tormenting her and I understood why she felt so guilty, she was a good person and she felt like she could have been better for her late husband. Let’s talk about the romance: There was no question that Julian and Charlotte belonged together. I fell in love with their sweet romance in the first book and had my heart broken right along with theirs but these two were special. They had a connection that was impossible to deny and difficult to describe. Not all couples have this special magic that comes from a sweetly passionate first love gone wrong. There was just something so dang solid about their feelings for each other even when they were fighting not to feel it again. Julian was just so hopelessly in love with Charlotte and she desperately wanted to love him again it was just so powerful. I fell in love with their second chance romance. It was like watching a dying garden being touched by sunlight for the first time in long while. How about that supporting cast? There isn’t much by way of supporting cast except for Cam and Ellie and Charlotte’s wicked widows club which consists of three other women who are for their own reasons engaging in risky (for their reputations) behavior. By all accounts they seemed to be good friends though and I’d love for them to get their own stories soon. Then there was Charlotte’s other friend Lord Devon who seemed to be fighting a bad reputation and his own demons. Heavens but I can’t resist those kinds of characters! Click It or Skip It? Click It. 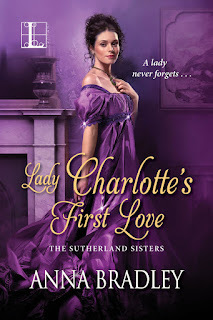 Lady Charlotte’s First Love is a sigh worthy emotional romance that I wouldn’t pass up for anything.